This post contains affiliate links via Etsy. 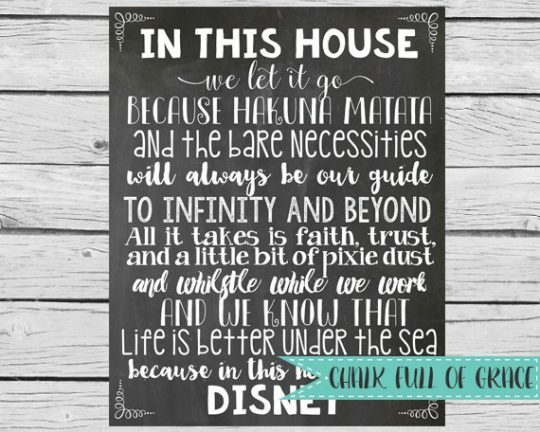 Okay, there have been a quite a few Disney quotes going around on Facebook and they inspired me to have a search around Etsy to purchase one for our home. 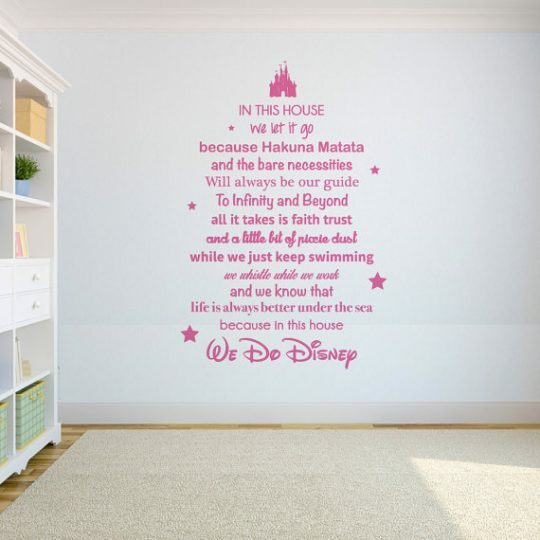 Our playroom is in need of a makeover and I think these quotes will be the perfect addition! There were a few different versions and I’m not entirely sure which one I like more? 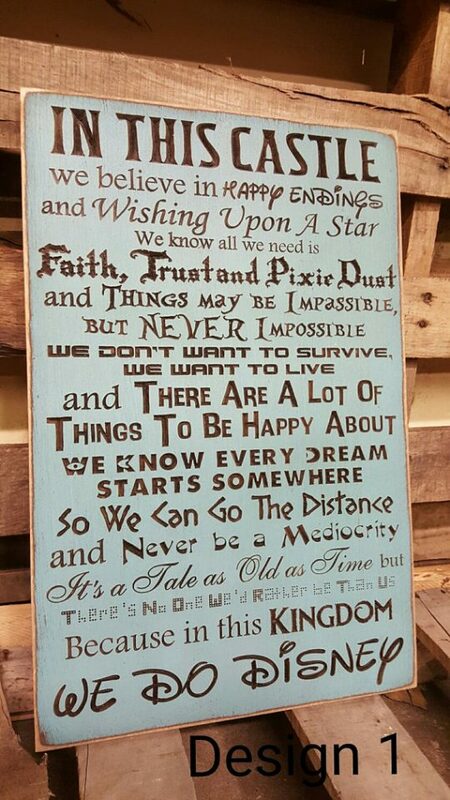 They all vary in price as some you can print at home and others have been handmade into beautiful timber signs, you can see the whole range here or check out my favourites below. Which one is your favourite? 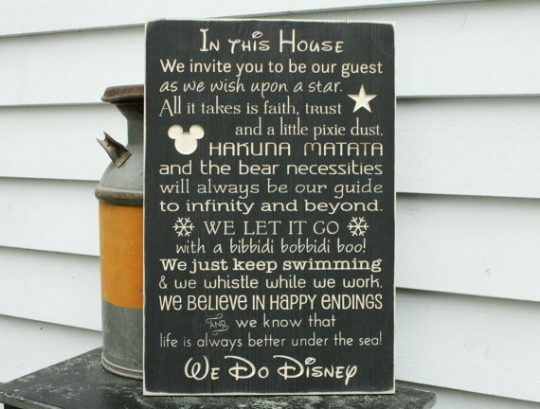 In this house we do Disney! Click here to order this beautiful handmade sign. This one is good too! Click here to order this handmade sign. Or why not own a Castle! This one is a carved wooden version, order it here. You can order this stick on Vinyl Wall Decal here – super reasonable in price and available in lots of colours! 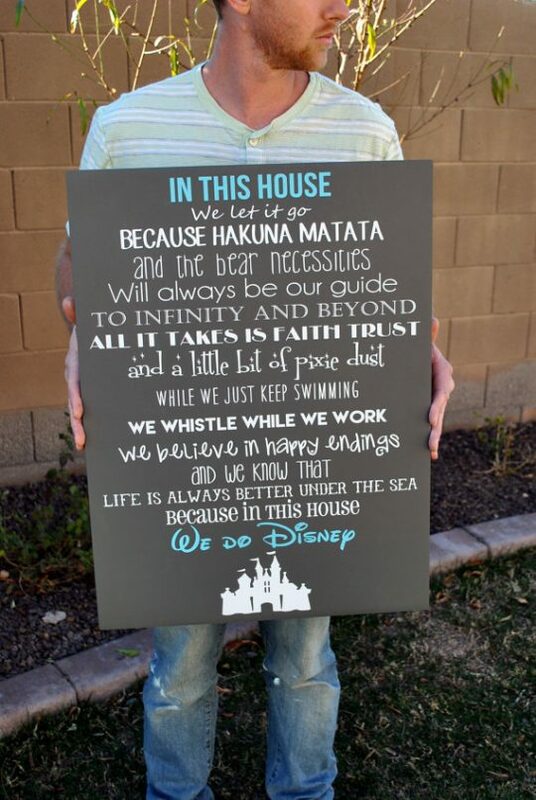 This chalkboard one you can download and print at home. Find it here. We hope you found something you liked above! You can read more about some of our featured Etsy stores here.